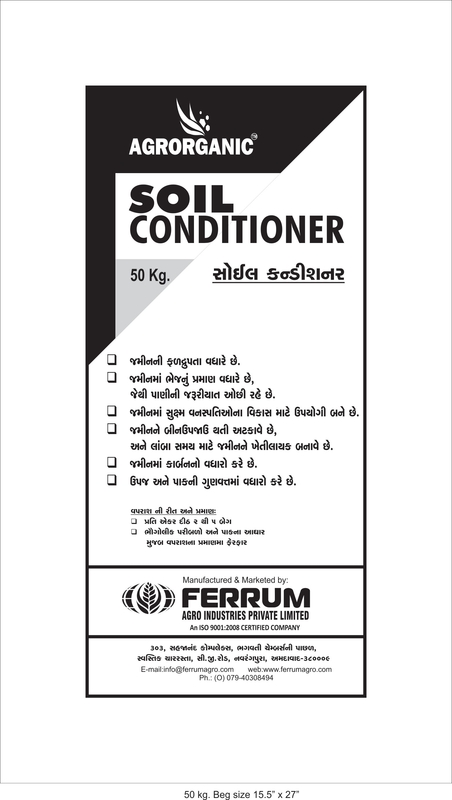 SOIL CONDITIONER contains all the nutrients (Nitrogen,Phosphrous,Potassium,Carbon,Carbon,Minerals) required for theVgrowth & development of plants.The mirco-nutrients present in Soil Conditioner improves the yields & quality of the crop. - Prevents land from becoming infertile and makes the land available for cultivation for longer duration. Granule: 2 - 5 bag / acre*. *Dosage will vary based on various Geo climatic conditions and crops.